Get that perfectly straight smile you’ve always wanted without the time and trouble of metallic braces! Dr. Don Galbo, DDS has trained extensively in orthodontics and has over 25 years of experience in helping people align their smiles. You’ll love to show yours off after completing one of our orthodontic treatment solutions. Is Invisalign® right for you? Let’s find out. Call (770) 253-3595 to book your free consultation today! 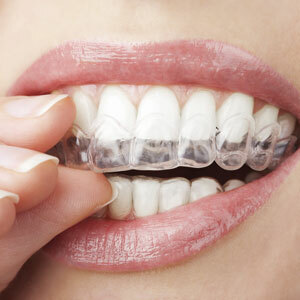 Invisalign® utilizes custom-made, clear plastic aligners to apply gentle pressure to teeth. There are no brackets or wires, and the aligners are barely noticeable on your teeth. Get that healthy, radiantly beautiful smile that you will love to show off. Book your free consultation today!